A Minor in early childhood at UW-Superior will acquaint you with developmentally appropriate practices for children from birth through age 11 in education, law, social services or various health-related areas. The Early Childhood Minor is open to any student, regardless of Major, but most often paired with the elementary education major to earn Wisconsin EC-MC licensure of ages from birth to age 11 to teach early childhood through elementary-aged students. The Early Childhood Minor is also available online through UW-Superior's Online Learning program. Learn how to integrate learning theory with subject matter knowledge to plan instruction and learning activities, appropriate to young children. Understand and be able to apply theories, models and strategies for teaching subject-specific concepts and skills. Understand the physical, social, emotional and cognitive aspects of development in relation to student learning. Gain multicultural understanding and how to incorporate diversity into the classroom. Through the Early Childhood program, students may also earn Child Life Certification to help children and families through life's most challenging events, which can be taken in conjunction with any Major or completed as an interdisciplinary Major. Many of our graduates have won teaching awards at district, state and national levels and are highly regarded by their employers. 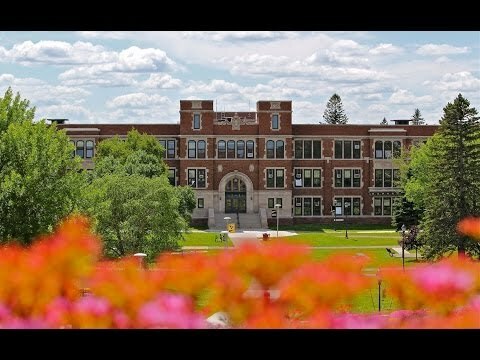 UW-Superior has a lot of opportunities for students to get out there and get to know each other, and I recommend taking them up on the chances!" Read more. I would not have been able to pursue my degree without the online option." Read more.